No good pictures for this update as we’ve been in the grind part of travel. The storm on Tuesday was quite terrifying. At its peak we didn’t feel comfortable in the bedroom area of our Airbnb and ended up huddled on the floor of the kitchen on the first floor of the building as the building shook and the winds roared outside. A few items shook loose from the walls as the wood house we were in swayed. A building visible from our house lost part of its roof. Typhoon Jebi was reported to be the strongest storm to hit Japan in 25 years. While it was predicted to be at or below a category 1 when it made landfall, subsequent reports suggest it was a category 3. The Osaka Kansai airport is connected by bridge to the mainland. A tanker got loose during the storm and crashed into the connecting bride cutting off access to the airport. (Luckily the 11 member crew was not injured.) Much of the airport flooded and 5,000 people were stuck there. It must have been awful. Evacuations continued throughout the next day. The continued closure of the airport is quite remarkable given it is one of the largest airports in Japan. There was a lot of devastation in the region where we stayed and I feel very fortunate we were so minimally impacted. That said, it did change the course of our plans as we were due to fly out to Hong Kong today (Thursday) and the airport is estimated to remain closed for several more days. Putting together a plan to continue our trip finally started to come together with the idea to take the train to Tokyo and fly from there (once we confirmed the trains were running again). Getting the plane tickets was exceedingly stressful as options were limited. The carrier we were booked on had no availability for a full week after the storm. We tried to purchase several tickets that disappeared in the midst of our checkout process. Eventually we snagged one. We are now on our way to Tokyo with plans to fly out in the morning and arrive in Hong Kong tomorrow. Not too bad of a delay considering the situation. Japan remains one of our family favorite destinations and I know we will be back. But I suspect this visit will stay memorable for a long while. And not be underestimated, the delay provided one more opportunity for conveyor belt sushi, which we enjoyed to the fullest. Two years ago today, a moving van sat outside of our apartment in Brooklyn, New York, and all that remained of our belongings were rapidly filling the truck. It was a moment filled with exhilaration, anxiety and confusion. Had we kept the right things? What would I wear tomorrow? Had we left out bedding to sleep that night? Where were we headed? What were we doing?! 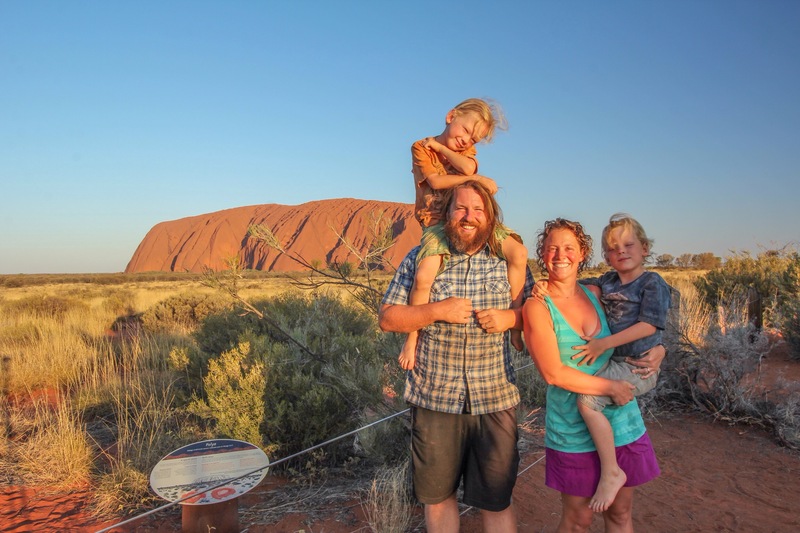 We had made decisions about how to live our lives in pretty conventional terms up until the moment a few weeks prior, when we had decided we would get on a plane, go to the other side of the world and give it a go camping around Australia for a few months. At the time, we figured we would give it three months and see how it went. Three months was based on the idea that if we did anything less than three months, it would be cheaper to rent a camping set-up rather than buy and then sell our set-up. We had made the investment, so we figured we should find a way to do it for three months. I add this detail because I think it’s reflective a pragmatic and externally focused, relatively random piece of data that we were going to use to determine the fate of our family. We used to make decisions that way often. How would the decision we were entertaining affect our job opportunities, school choices, retirement accounts, etc. Now we were doing something that sounded fun, adventurous and a bit crazy. Somehow a few late nights watching camper trailer videos bounce down dirt tracks on YouTube had stirred something deep inside me and this time I wasn’t ignoring it. My loving husband said, “let’s do it.” I am tempted to write that he jumped onboard because he loved camping, which is true, but more accurately he grabbed hold of the idea because he loves me and he was tired of the cycle. Our current state wasn’t working, but for the life of us, we couldn’t get excited about the next move enough to seize it. We struggled to settle on a suburb in New Jersey that might suit us, and somehow living in a camper in Australia seemed the perfect solution. Unlike all the other options we entertained, this move was not a means to an end, but rather a radical break from the mindset of thinking we controlled the future. I literally could never have imagined how the past two years would have unfolded. As I write this, I feel tempted to use a phrase like “never in my wildest dreams” because that is how people seem to write about journeys like ours, but it doesn’t fit for me. This journey has not been about living out a specific long held dream. Rather, it has been about intentionally living in the present and trying to fully experience it. The beauty, the joy, the fear, the loneliness, the connection, the missing, the accomplishment, the happiness, the uncertainty, the learning and the laughter. I am so grateful I had no clear understanding what was ahead. I wouldn’t have packed those boxes if I had known where we were headed for the next two years. I would have been far too frightened. Life plans are an illusion anyhow. We think we know where we are going, but in fact, life happens in between and if we end up where we thought we would, it is merely by chance. On the most important days of my life, both the wonderful ones and the deeply painful ones, I rarely knew that morning what lay ahead. Living our life in this manner is about accepting this reality, connecting with what is working in the present and being open to the paths ahead. The ‘me of two years ago’ still squirms at some of these notions. I would have read this piece and thought, “well good for them… couldn’t work for us, but isn’t it nice for them.” And if I allowed myself the space, I would picture these people as flighty, quite a bit out there and vaguely irresponsible. … But the ‘me of today’ knows with certainty that choosing to live our lives based on what works for us now and being open to new opportunities is far more satisfying to my soul than living a life totally focused on the future and my hopes for it while ignoring my quality of life in the present. I’ve been busy worrying about whether our Christmas in Bali will feel like Christmas to the boys. Before I begin, I will say I am incredibly grateful to be on this journey and having our family adventures and I know we have chosen to be where we are for Christmas – please don’t misunderstand this post. It’s just that there are some moments, where a teleporting machine really seems like it would come in handy. Teleporting home to spend Christmas with loved ones is definitely high on the list of things for which I would use this machine. The lead up to Christmas in Bali feels decidedly un-Christmas like for my northern-hemisphere, “will it be a white Christmas” self. We are on an island that is 95% Hindu in a country that is predominantly Muslim. The lead up to Christmas has largely avoided the incessant holiday music and commercialism, but it has also largely been absent the holiday festivities, fanfare and excuses to eat endless sweet treats. It’s tropical, we are not near our family and we are staying in a hotel. Christmas is pretty different than the cold winter morning opening gifts around the tree at home. I have chosen to focus my Christmas worry / guilt on our lack of a Christmas tree. Perhaps it is because the smell of a real Christmas tree is just about my favorite thing ever and I have been known to embarrass Jay by walking slowly down the row after row of trees smelling each one, intent on finding the strongest and most perfect smelling tree available. But I digress. Last year we were also traveling and we decided to make a big felt tree with homemade ornaments with all of our favorite holiday images and characters. There were characters from our favorite stories, lions, tigers and candy canes. While it was a departure from tradition, it felt Christmas-y. This year, I simply have not gotten my act together. We are in a hotel and we are new to the town we are in. We have been busy looking for a longer term rental and among various travel related challenges, the tree fell to the bottom of the list. Tonight in a fit of maternal guilt, I asked the boys what we should do about presents. Finn instantly suggested a treasure hunt to find the gifts. The boys were jumping up and down and screaming about the excitement of their Christmas present treasure hunt. Mama guilt alleviated (for the moment). Christmas travel-edition here we come! Merry Christmas and everything else to all of you! After the usual questions and comments about how different “this” place is from New York City and after the “where have you been / where are you headed” discussion, conversations with strangers often include a question about whether we think our boys will remember “it”? When people ask me this question, I often don’t know exactly what they are asking. Are they asking whether my kids will remember that we came to Australia? That we traveled in a tent? This town? This rock? I have no doubt that they will remember something about our journey in Australia, but beyond that I don’t know. In fact, the question ignites a bit of an existential question in me about how do we ever know if we will remember a moment. Will I remember it? Will they? But alas this question is probably not intended to start such a discussion as we stand next to our sites in the caravan park chatting. So I will say now that I have zero concern about whether my boys will remember a particular location on this trip. I have never traveled for the memories, I travel for the experience. I didn’t bring them on this journey to help them memorize a snapshot in their mind of various sightseeing locations. I have hoped to share something different with them on this journey. I wanted to share a love of nature. My hope was that my city boys could learn to play freely and comfortably in nature, the same way they would confidently captain their scooter down a crowded urban block. 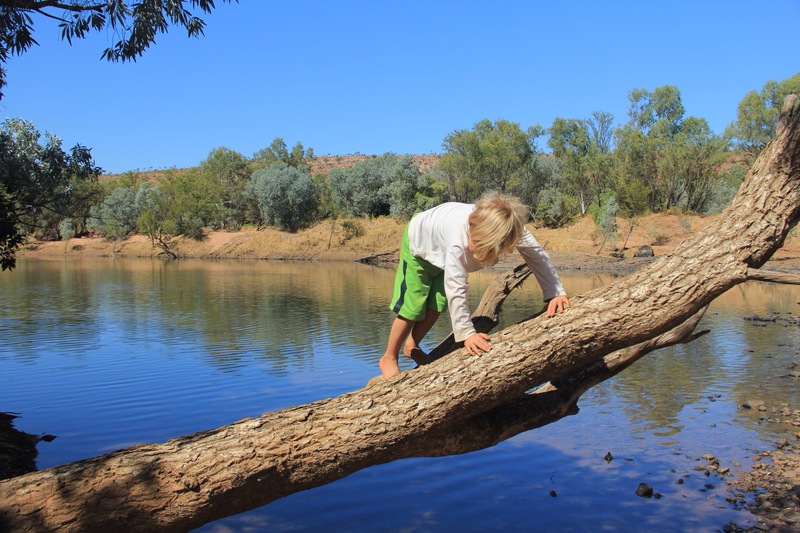 My hope was to teach my boys that it was ok to be unsure and not to know. As they have watched Jay and I both stumble and succeed in so many new endeavors, my goal was to share the thrill of the unknown and to teach them it is ok to learn as you go and try new things. Sometimes it leads to amazing experiences and sometimes it leads to a terribly burned dinner, but it is ok to try. I wanted to teach them that big changes are scary, but good especially when things aren’t working. And it’s ok to change again as we figure out what works better. And lastly, I wanted to spend time as a family. Not to show them and teach them, but to learn from them and with them and to share and to enjoy together. We never know what the future will bring, but we have choices we can make now. So I don’t worry about whether they will remember this place or that – we have plenty of pictures. And I also believe that many of these lessons will be imprinted on them as they grow as they have on us. I deeply believe that we have all learned lessons that will unfold from this journey for years to come in ways we can’t plan or anticipate. And that’s what makes it an adventure. We left Billiluna far later than we had planned. The adrenalin was pumping after two near-setbacks, and we (finally) started making good time on the dirt track to Alice Springs. It was late in the afternoon. The shadows were long and the dirt was red. Our trusty Cruiser Cave Lion fell into a nice rhythm. We were gliding over the dirt. 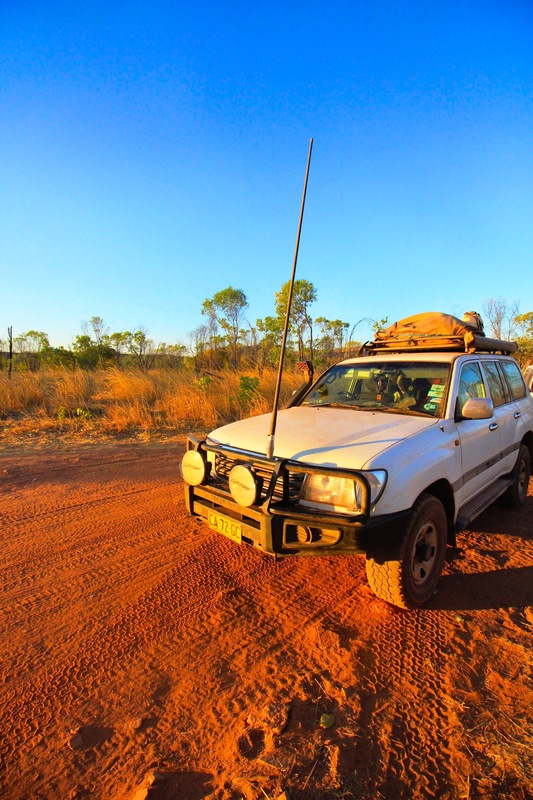 The conditions of the Tanami Track were much better than we expected. 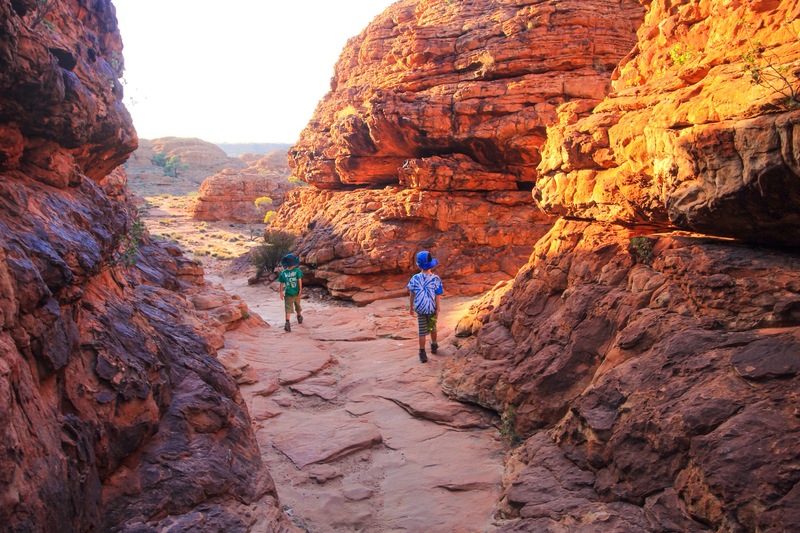 The corrugations were there, but they consistent, with only a few unusually rough patches. 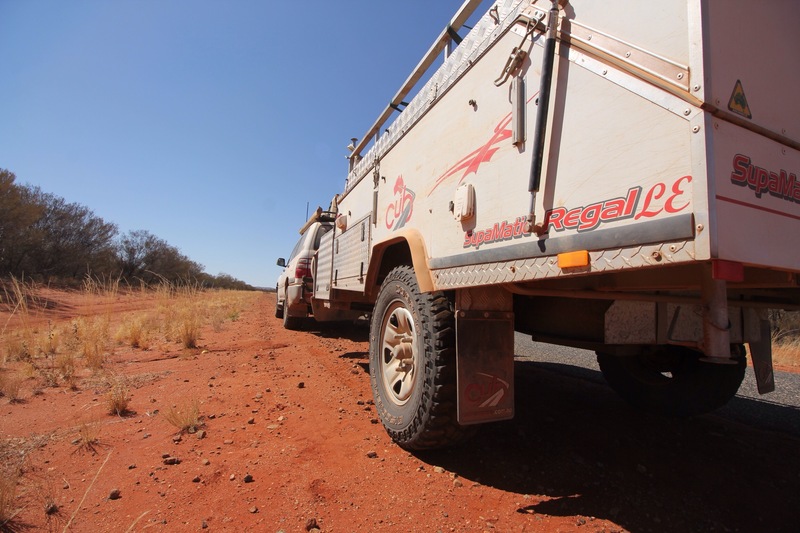 We’d lowered our tyre pressure to about 30psi before leaving the bitumen –and of course our Cub Camper Siberian Tiger had a brand new shock – so the going was pretty smooth for a remote Outback track. In the new tradition of 21st Century travellers, we decided to put our quality family time in the car to good use: we binged on podcasts. In this case, we listened to a series about the trials and tribulations of fledgling online dating business called Dating Ring in the second season of the podcast StartUp. I don’t know if I’d call it a mistake to drive on into the night. It’s definitely something we don’t normally do, but this wasn’t a normal day. 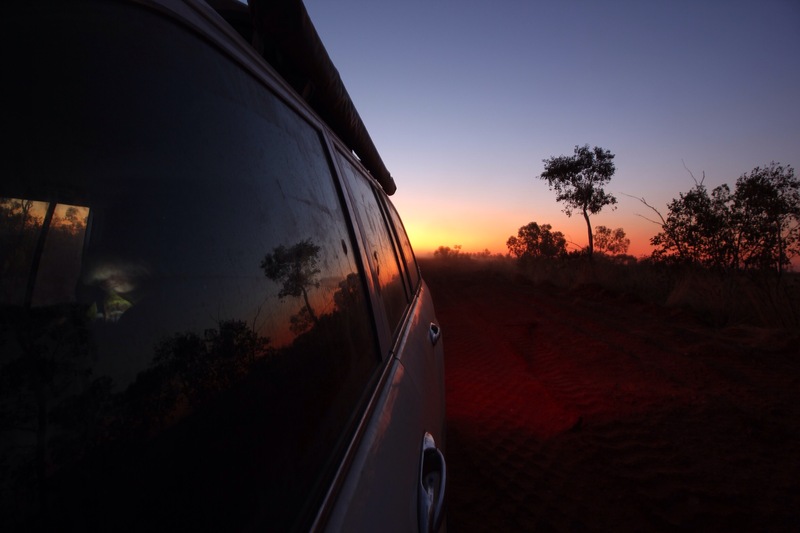 The thing is, beginning at dusk, you really shouldn’t be driving anywhere in Australia outside of the cities. It’s the animals, and kangaroo in particular. The lovable roos, they like to hop along the side of the road, in the same direction you’re driving, just outside the peripheral range of your headlights. They seem to take you in, correctly recognizing two tons of steel hurtling down the road as a threat. But then, inexplicably, they throw caution to the wind and dart across the road right in front of you. 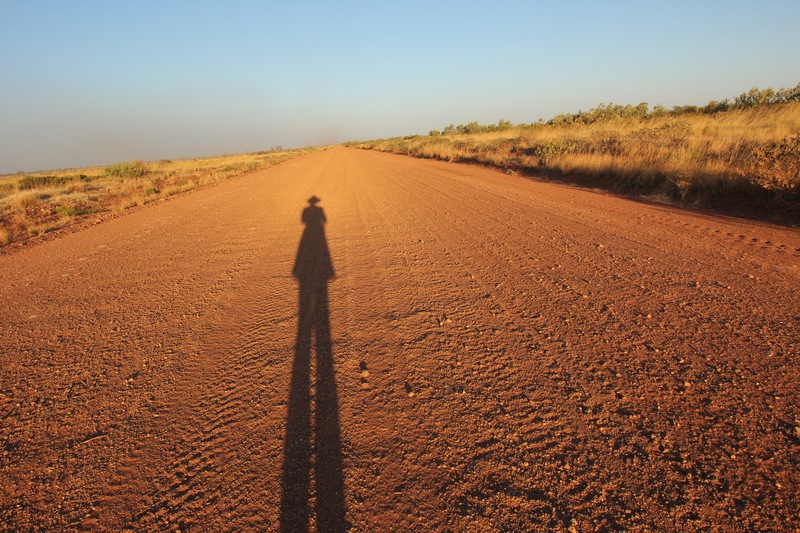 Out here, in the Tanami Desert, on a road so isolated we hadn’t seen any cars outside of Billiluna, who knew what we might run into? By now, it was sundown, and we knew we should probably set up camp. But, Dating Ring had just suffered a major setback. The founders would have to decide whether they could accept an investment with unsavory strings attached, or reject the money and keep their dignity. Even though night was falling, we pressed onward. Just another episode…. The blood moon rose on the horizon, filling our windshield and illuminating a dirt track that seemed to stretch across the desert forever. After taking it in, we pulled over onto a side track to make dinner and camp for the night. 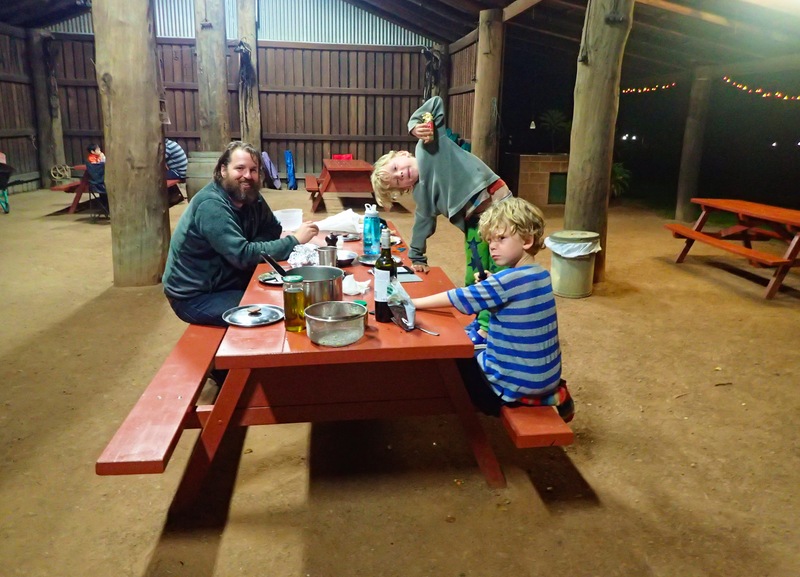 We were a couple miles off the Tanami, hidden in the bush, having what was quite possibly the most remote family dinner in history. We were just about to call it a night. 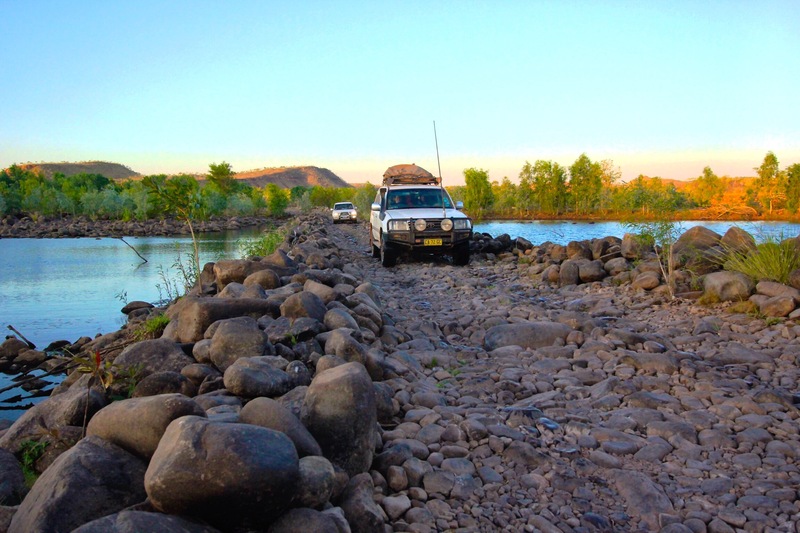 And that’s when we saw the first (moving) cars on the Tanami. Trucks, actually. And, actually we didn’t see them; we heard them on the UHF radio. The talk wasn’t the colorful truckie banter you’d expect. It was about bush fires. My ears perked up. This time of year, in this part of the country, bush fires are a serious topic.I can’t really explain this, but I just had a bad feeling in my stomach. More than likely, it had to do with hearing the trucker say he really ought to report that bush fire. 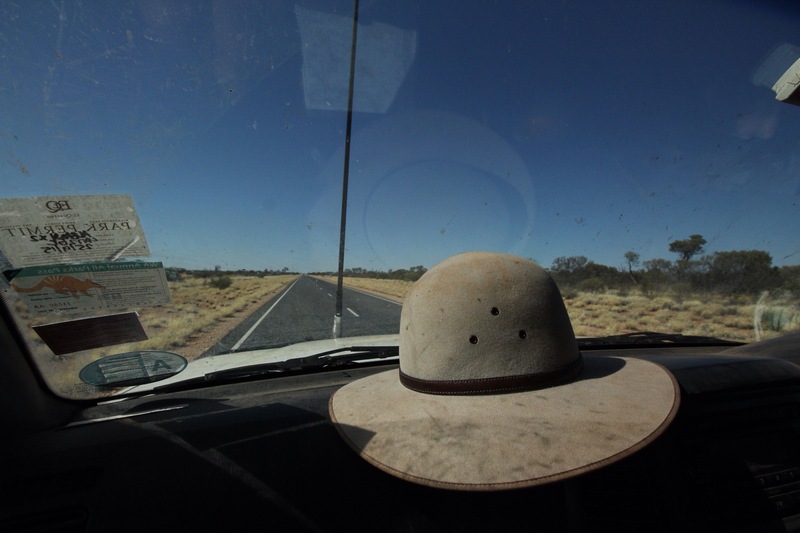 Miranda said to trust my instincts, so we packed back into the car and headed back to the Tanami. 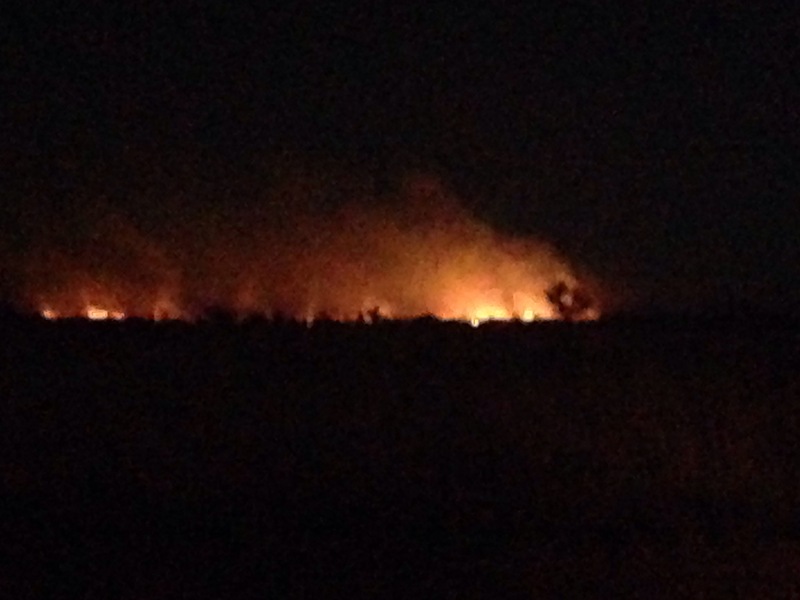 It wasn’t three miles before we saw the blaze. Seemingly out of control, spreading through the dry brush – and on the same side of the track where we had been about to call it a night. Miranda and I looked at each other. Whew! Fires are not totally uncommon driving out here, and the general rule of thumb is that if the fire is on both sides of the road, turn around and drive away fast. If the fire is just on one side of the road, drive by carefully. By the way, this advice was not conveyed to me firsthand by Smokey the Bear, so please don’t rely on it in a serious situation. After we passed the first group of fires, there was clearly another bigger group coming up. What was not clear was whether it was on one side of the road, or had spread to both. I downshifted to turtle speed, ready to turn around if necessary. In the back of my mind I was hoping we didn’t have to turn around. What if the fire behind us had made it across the track, too? This was not going to be a day I’d forget any time soon. As we got closer to the bush fire, we saw it was contained on one side of the road, and that it had only looked like two sides because of a bend. We hurried past. At this point, I did what any father would do. I told Miranda about the secret stash of licorice I had hidden under her seat for just such a crisis. We dug in. The boys slept. They’ll never know about the secret licorice. 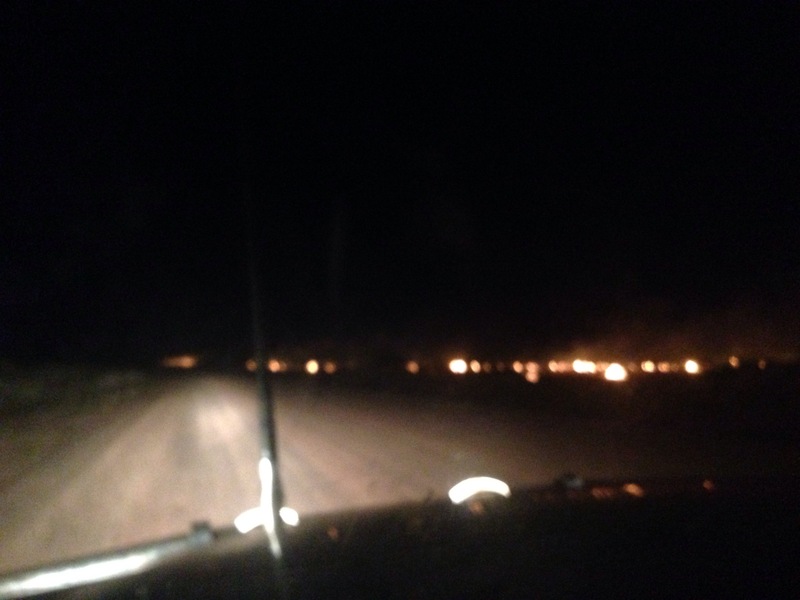 Given that it was now deep into the night and the Tanami was ablaze, Miranda and I decided to put some distance between us and the fire. We drove for about an hour without seeing or hearing a soul and pulled off the track. 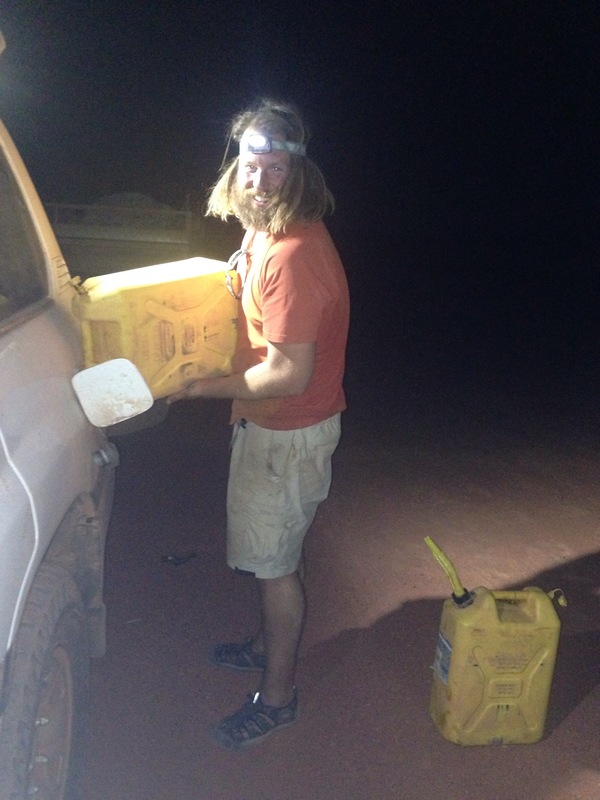 We made coffee while I refilled our tank with the jerry cans. 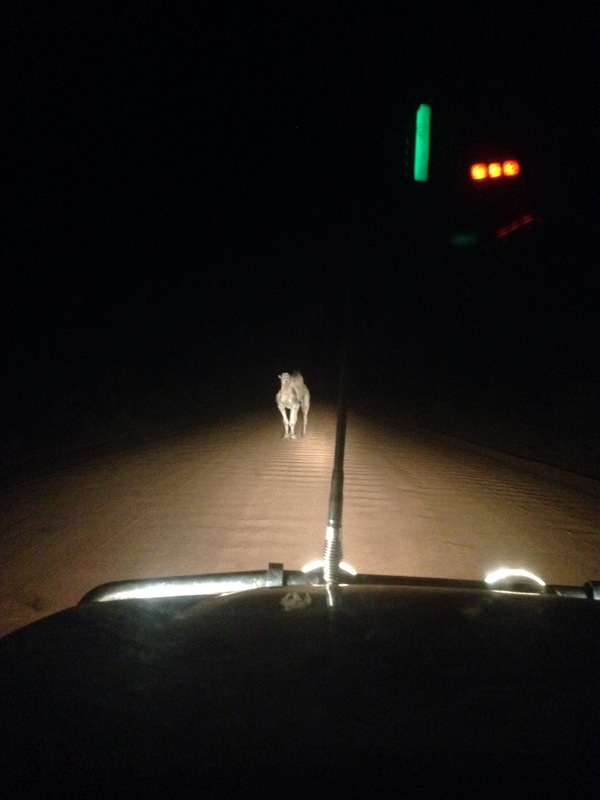 It was midnight on the Tanami. We were on the move. Dating Ring was having money problems; one of the founders left the company. I punch the brakes. It wasn’t a unicorn. It was much, much bigger. You know how they’re always saying the kangaroos in the Center are so big they’re like a different species altogether? Well, that is apparently true for wild camels roaming the Center, too. I slowed Cave Lion to a stop and we were face to face with the largest, most muscular camel I have ever seen. Unfazed by our brights, he stared down at us through the windshield. A kangaroo hopped by. The camel didn’t move. I inched the car forward. The camel stepped aside. Then he started running – fast – right next to us. He looked over, issuing the challenge. I accelerated just enough to keep up. The camel found another gear. By this point, Miranda and I have lost it. We are in full on guffaw mode. Our son Lake wakes up. He wonders aloud why there is a camel running next to us in the road. Does he know he’s not dreaming? Do I know I’m not dreaming? An update to this. 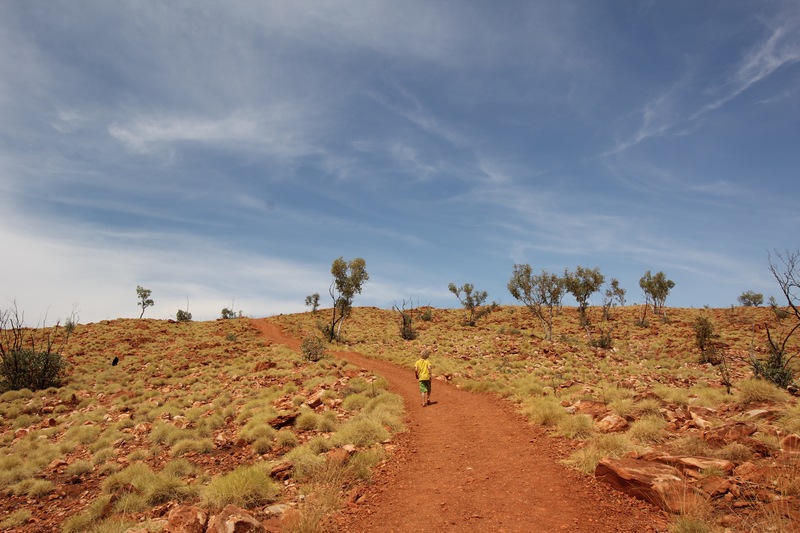 Shortly after we finished the track the Tanami was closed temporarily due to bush fires – yikes! The shock was down. The bushes on our shock, in fact, had completely disintegrated. I turned to Miranda and gave the universal sign for dismay: thumbs down. 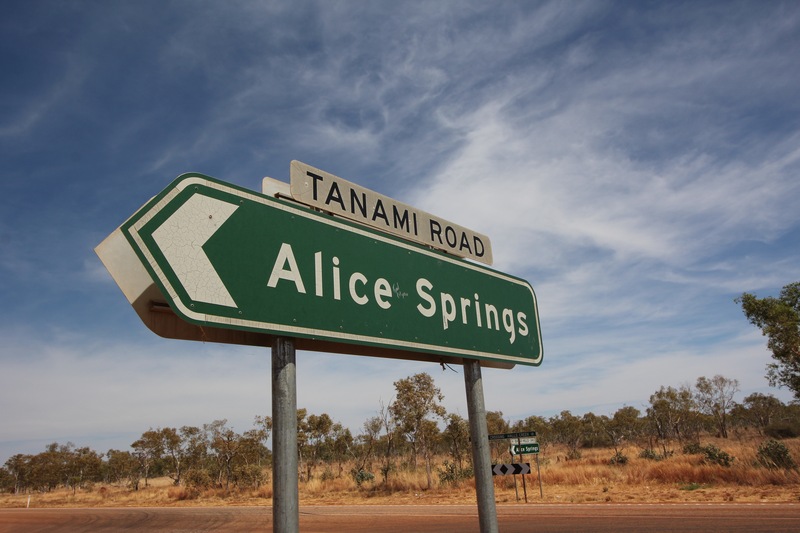 This was not a life threatening tragedy, but also not something we wanted to leave until after crossing the remaining 950kms of the Tanami Desert. Also consider, that I thought the only meaning of the word bushes was the shrubbery kind, until very recently. 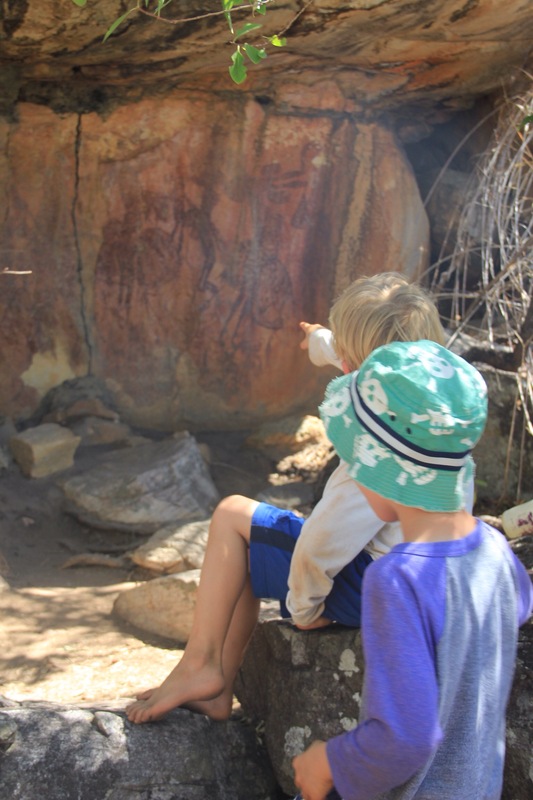 We took a moment to process the situation at Wolfe Creek Crater, trying to keep our heads. I slipped an Oreo out of our emergency supplies. I took a bite. I could see a gleam in Miranda’s eye similar to the other day, when she rewired the fridge in our car. Or the time when she fixed the key fob with a soldering iron. “This is going to be a real bush mechanic situation!” she said, enthusiastically. Me, I thought to myself: What happens when I pull apart this shock and then can’t get the new one on, and then we’re stuck at Wolfe Creek Crater at night under the blood red moon. Did I mention this was the night of the blood red moon? Then I ate the rest of the emergency Oreo. The die was cast. Deep in the recesses of our “wayback”, I pulled out a toolbox and a spare set of shocks. 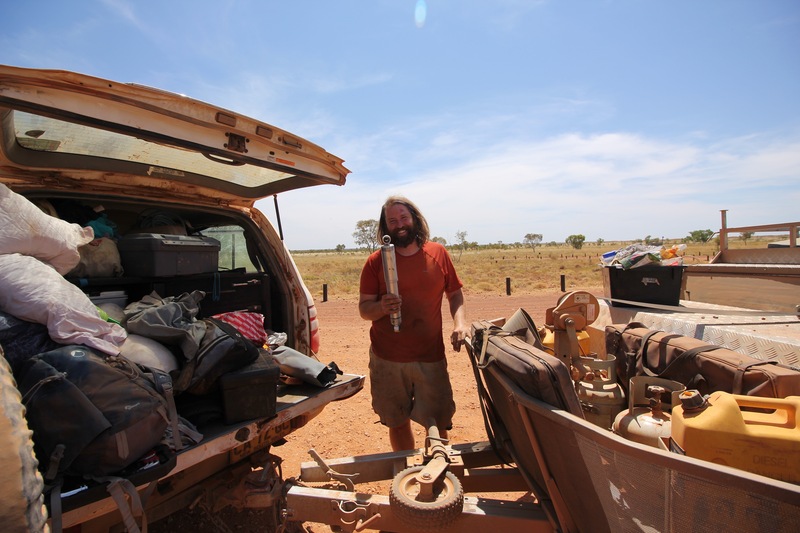 (Thanks again Vic Widman, this time for recommending we bring extra camper shocks into the bush). Well, we had to pull out everything in our Cruiser to find it, but we did have an extra shock – thanks again Vic for your sage advice to bring a set! Now all I had to do was figure out how to get the new shock onto the camper. Amazingly, a fellow traveller rolled up. He came by to see if I needed a hand. Seeing that we had the extra shock, he said: “She’ll be alright” – apparently not aware of the fact that the only things I have built in the last decade are spreadsheets and ramshackle smokers. He stayed to make sure I could do it, talking photography with Miranda and lending a hand when I needed. 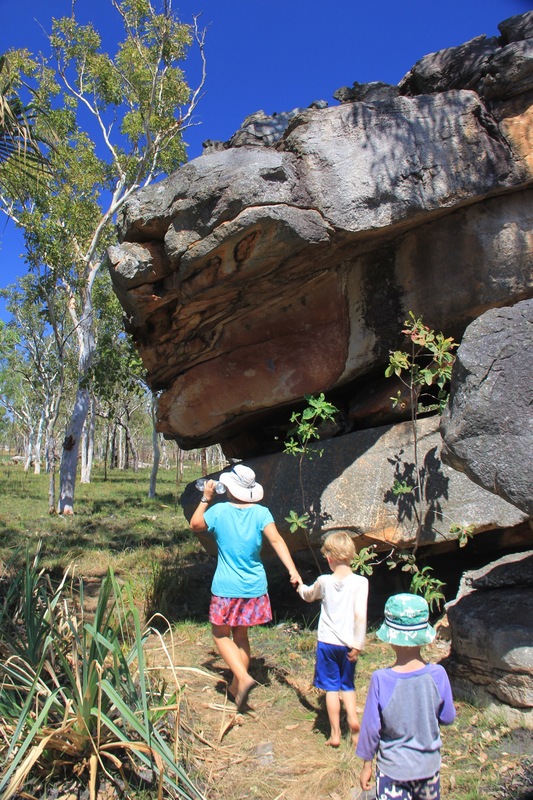 It was another example of the friendliness we have encountered throughout our travels in Australia. An hour and another picnic later and we were on our way. As we left Wolfe Creek Crater, our heads were still in the right place, and Miranda and I looked at each other with a sigh of releif. Well, that was an adventure we weren’t expecting! 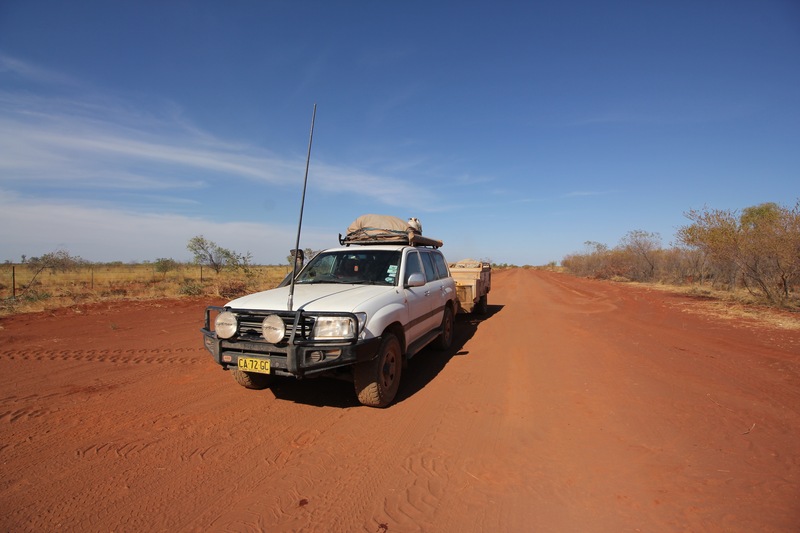 We returned to the Tanami and headed into the desert in the afternoon. Another hour or two passed, and the long stretch of the track with no fuel was quickly approaching. We consulted our handy dandy HEMA Map, and turned to turn into the last town on the track with fuel, Billiluna. Our map showed the fuel station at Billiluna was open from 8-11AM and 2-4PM on weekdays. It was 3PM, and Monday, so we were maybe behind schedule but otherwise looking good. Cave Lion and Siberian Tiger back on the road! Now, you have to remember that we were still a little on edge from the shock, and the main thing going through my mind was anxiety about successfully getting fuel. 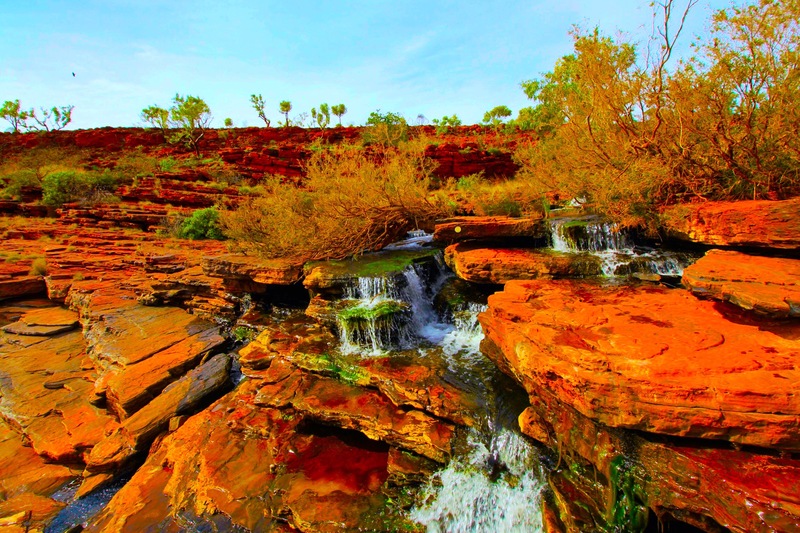 A few days before, in Purnululu National Park, a ranger had told us he thought that the stretch of no fuel on the Tanami was more like 1,000kms, which, if true, would have meant that Miranda, Lake, Finn, and I would have to turn around and drive all the way back to Halls Creek, buy a few more jerry cans, and try again. We really, really did not want to do this. The first thing Miranda and I noticed as we headed into Billiluna was abandoned cars. They were plentiful. Some on the grass. Some on the side of the road. Some in ditches. They were so numerous, in fact, that I couldn’t help but wonder if maybe there was a chance there wasn’t fuel here anymore, after all. Maybe all these cars were left by travellers like me. 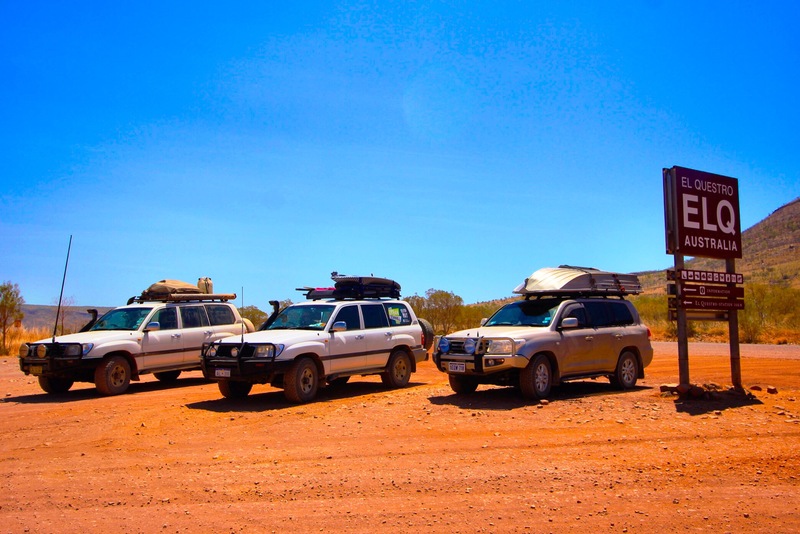 Travellers who headed up the Tanami with their handy dandy HEMA Maps, riding on fumes as they arrived in Billiluna, their last hope. And then maybe they realized there was no fuel, cried softly, turned, and simply walked slowly away into the desert…. Another observation adding to our growing wariness: the abandoned cars were not in good shape. Most were rusted. Some had scorched scars, apparently having blown up, crashed or set on fire. Some were set on cinderblocks. 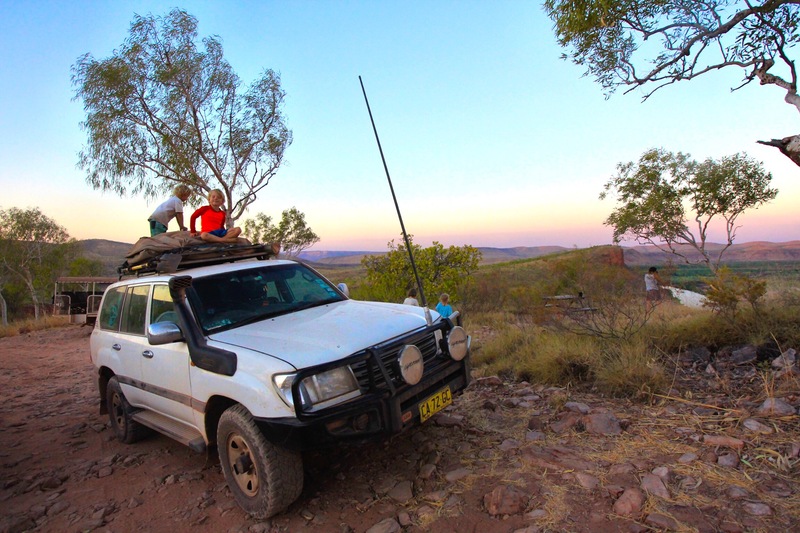 I get that it’s a remote community, and what are you going to do – call a tow truck a thousand kms to the nearest dump, but since we were already anxious about the fuel, it was still a bit unnerving . As I drove past one car on cinderblocks,there was actually a guy sitting in it, and I started to wonder… Maybe this guy is just waiting for the day a tyre truck rolls into Billiluna on fumes, only to be abandoned with no hope for diesel. Then, jackpot! I’m back baby! The other thing I noticed was a healthy dog population. Dogs ruled the road here. And rather than thinking the obvious thing – dogs are man’s best friend, and probably help alert people in a remote community to the presence of outsiders or threatening wild animals – I let my brain continue down its leery track. Apparently since there is no fuel here, the dogs of Billiluna have no fear of being run down. So we moseyed on over to the guy-who-owns-it’s house. I walked up to the door. I knocked. I waited. No sound. I turned back toward the car. Then, I heard some movement. A bare white chest carried a head that peered out of the shadows. Silence. Then I was informed that the station was closed. I squirmed. Eventually I got out that I’m sorry but I thought it was open from 2-4 on weekdays? The man looked at me with a hard stare. I took a breath. He took a breath. I considered offering him an Oreo. “Today’s a public holiday,” he said, looking very ornery. A few moments passed as this sunk in. Synapses flashed in my brain. What holiday was this? Do we need to camp here and wait for tomorrow? I was about to turn and break the bad news to Miranda, but then I remembered a conversation over a beer a few days ago. This upcoming weekend was among the biggest of the year for Aussie football fans. If there’s one thing that’s universal everywhere we go, it’s a love of sport. “Think West Coast will win The Finals?” I asked. They were magic words. I smiled hopefully, sensing his guard falling slightly. Yep, Grizzly Adams likes the footy. “No. But if you can pay cash I’ll fill you up. Meet me over there,” he said, pointing out the station I had been unable to identify in two laps around Billiluna. This was a fantastic development and another unexpected stroke of Australian hospitality and good naturedness. We had seriously lucked out, and this gentleman, who seemed ready to eliminate me just moments ago, was now doing us a huge favor. I realized he hadn’t looked ornery because he hated outsiders. He had looked ornery because Grizzly Adams had been knocking on his door, waking him up from a nap on his day off. We headed out of Billiluna pretty quickly after that, trying to remember to Google what public holiday had nearly foiled our desert crossing as soon as we got service. It would not be until well past midnight when we would learn that it was the Queen’s Birthday, which was also celebrated on June 8 – go figure! 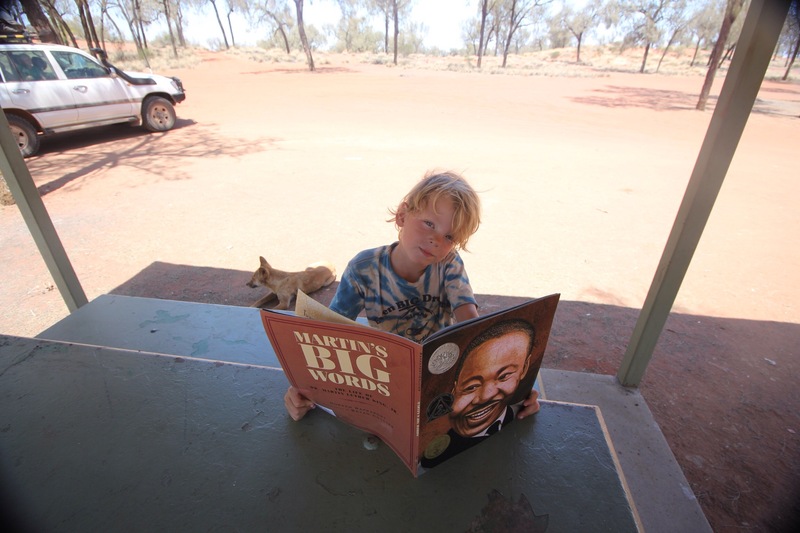 But things would get even weirder than the Queen having two birthdays for Cave Lion on the Tanami. Stay tuned! Part 3 and the final installment to come tomorrow!